When the Keystone XL Pipeline, slated to bring especially carbon-heavy tar sands from Alberta, Canada, to the US Gulf Coast, was killed thanks to years of fierce environmental protests, the stakes were raised for the Dakota Access Pipeline. Keystone was a disaster for the energy industry. In its wake, opponents claim, the new project was fast-tracked without the usual environmental reviews so that construction could be completed before a Keystone-style opposition formed. Fast as they were, it turns out that they weren’t fast enough. On September 3, the private security guards hired by Energy Transfer Partners used pepper spray and dogs on those trying to block the pipeline. This eruption of violence halted work until U.S. District Judge James Boasberg could rule on the tribe’s request for an injunction to block construction while its case was heard in court. On September 9, while conceding that “the United States’ relationship with Indians has been contentious and tragic,” he denied that request. 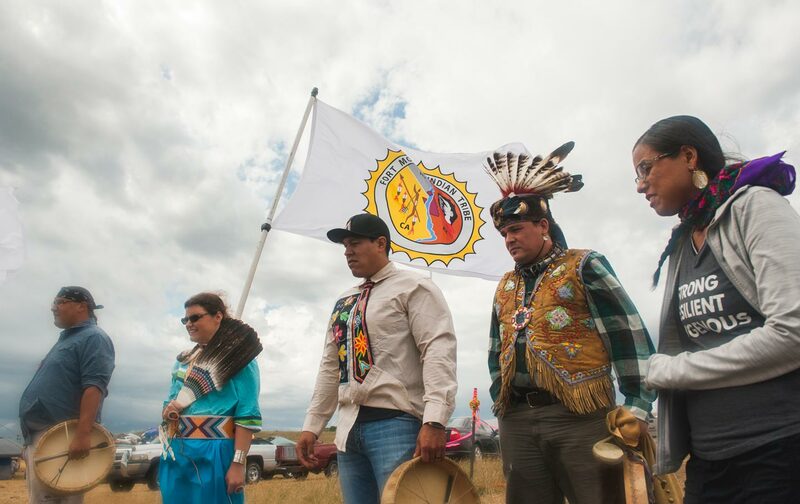 Then, in a move described even by the Sioux as stunning, the Obama administration suddenly stepped between the protesters and the pipeline construction crews. The Environmental Protection Agency, the Department of the Interior, and even the Army Corps of Engineers called for a halt to the process until the permitting procedure could be reviewed. In Utah, where I live, the Republican-dominated legislature has put forward the Public Lands Initiative (PLI). It’s the latest round in a 30-year-feud pitting conservationists and businesses tied to tourism and recreation against ranchers and miners. At stake: whether to give the last publicly controlled wild places in the state formal wilderness status and federal protection or (though this isn’t often directly said) let private interests exploit the hell out of them. Every few years the Utah legislature’s “cowboy caucus” has pushed just such a “wilderness bill” filled with poison pills and potentially devastating loopholes that the local conservation community can’t abide. Sure enough, the nightmare of the cowboys is being realized. A coalition of five tribes, all either presently in Utah or claiming ancestral lands there, is now pushing a bold proposal for just such a national monument—a park co-managed by the five tribes and the National Park Service (which in itself would be a significant first for the Native American community). It would include 1.9 million acres of the ancestral grounds of the Navajo, Hopi, Zuni, Ute Mountain, and Ute Indian tribes and would be known as the Bears Ears after the area’s most famous landmark, twin buttes that are said to resemble a bear’s ears. In the end, despite the Marlboro Man look and the Clint Eastwood demeanor, the Bundyites came across as the gang that couldn’t shoot straight. The “constitutional revolution” they wanted to spark by seizing Malheur fizzled amid a festival of cognitive dissonance and irony: men carrying assault rifles and threatening to use them proclaimed themselves “peaceful protesters” and, while declaring it off limits, attempted to “return” land to the American people—land that they already owned. Federal agents eventually arrested all of the principal players in both the earlier Nevada standoff and the Malheur fiasco, except for one killed at a roadblock when he charged armed rangers and reached for his gun. Trials began on September 7 and are slated to last for months.